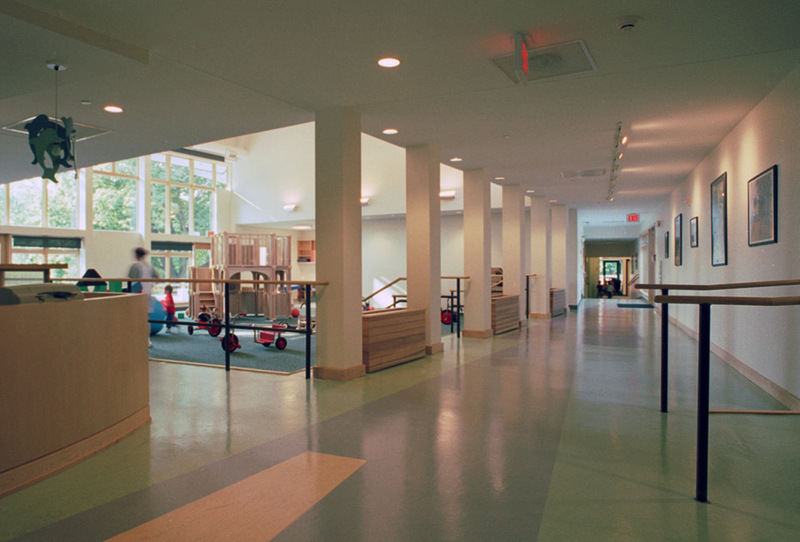 At Pfizer Kids, the family groupings are linked by a gradual ramp that widens as it approaches each living room area. The living rooms become tall volumes that allow indirect natural light to pour in from above. The sloping roofs, punctuated by the living room volumes, articulate a clean rhythm and create a welcoming, residential scale that belies the buildings large capacity. 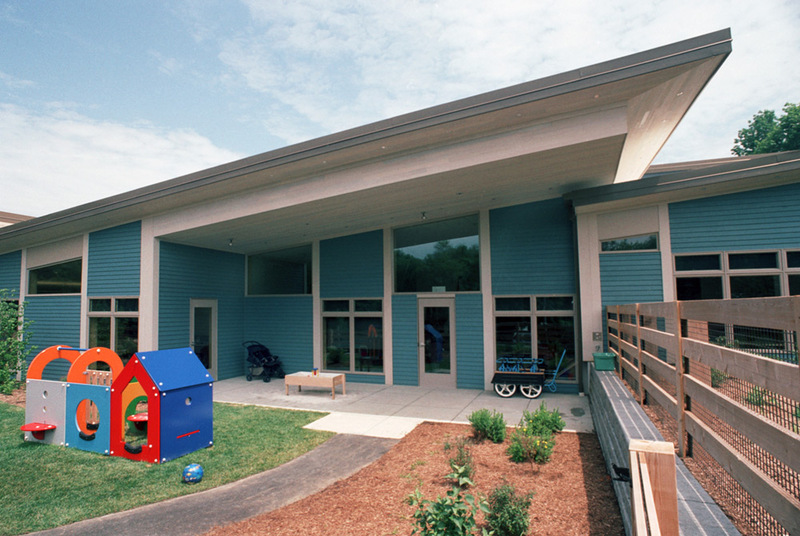 The tall, dark blue tower anchors the composition and serves as the entry. 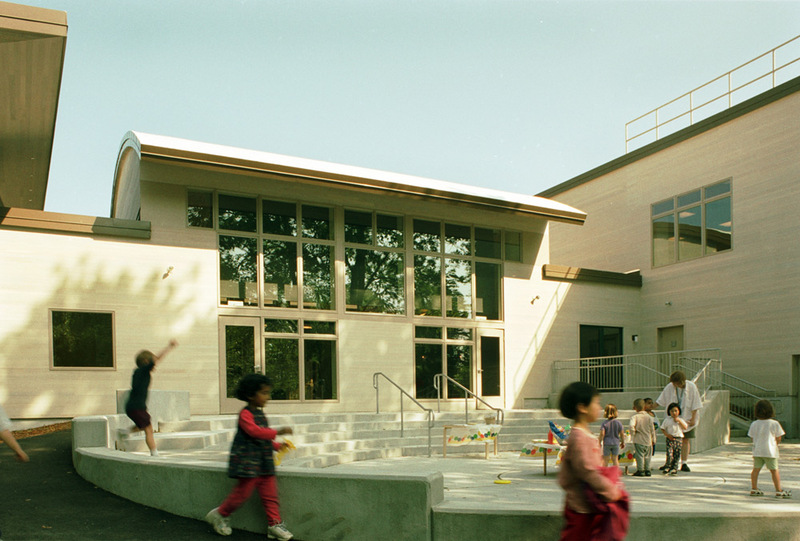 The center also contains several community spaces that allow for many children to congregate. 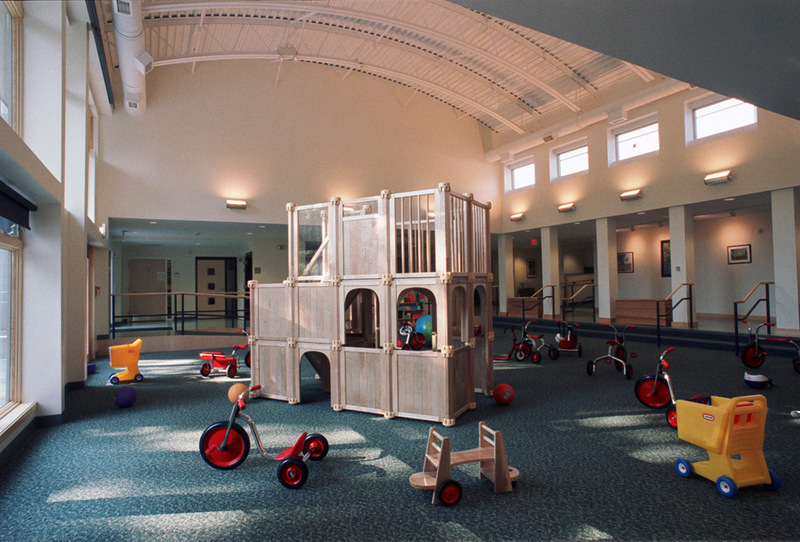 The large vaulted common space near the reception area is ideal for gross motor play and large group activities. 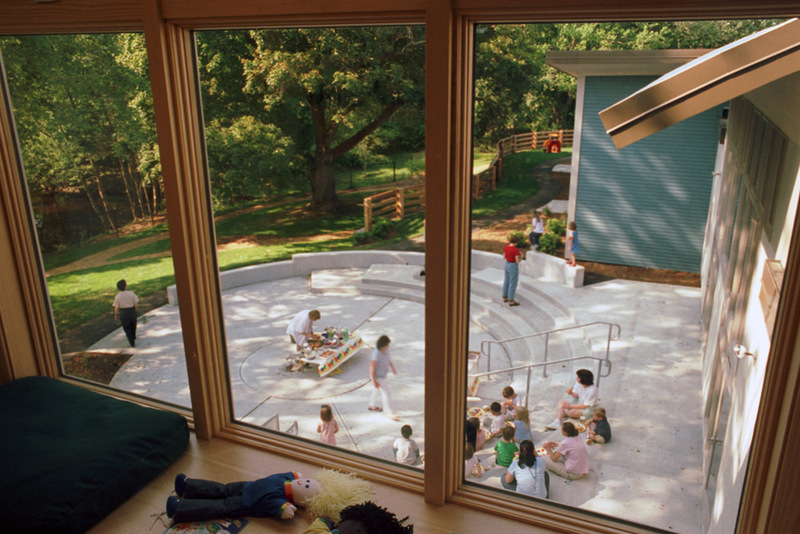 Often, the energy and activity within this room spill out onto the concrete amphitheater built into the landscape. 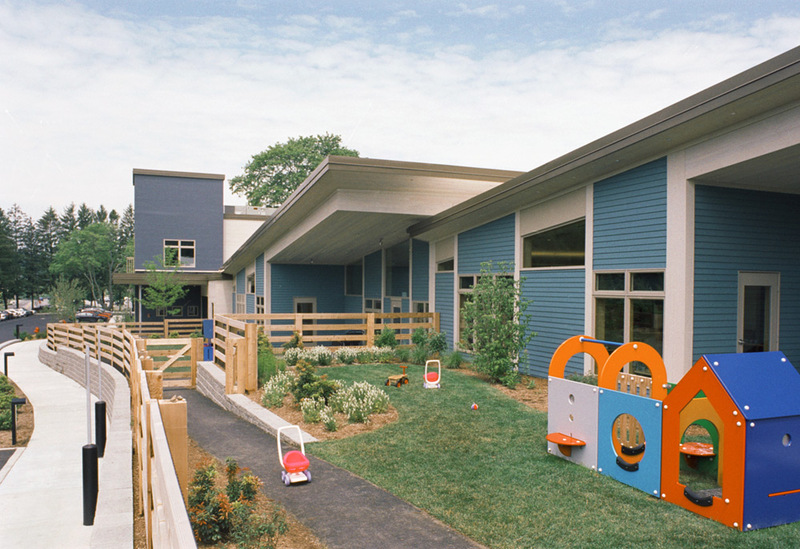 Situated on a large, rustic site, the Pfizer playground celebrates nature as an opportunity for scientific exploration and discovery. 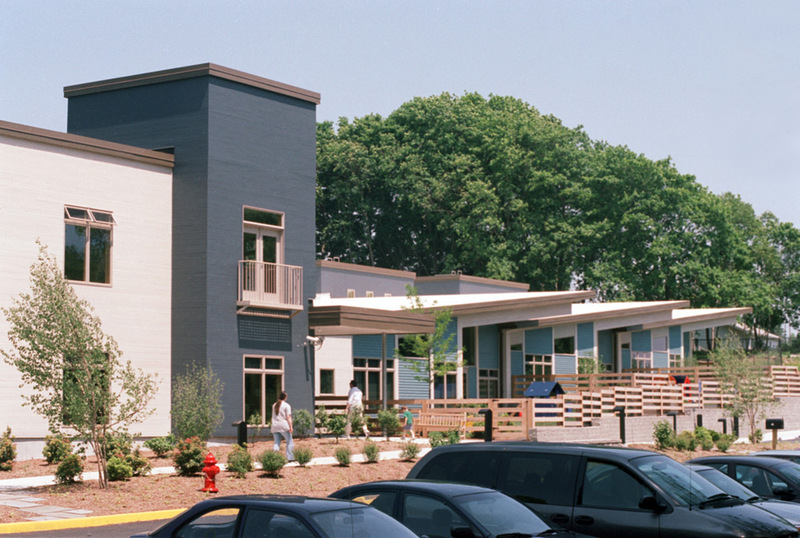 studioMLA Architects had primary involvement in programming, schematic design and design development and collaborated with CUH2A through the remainder of the process.